Casual weddings are This Little Piggy Catering’s specialty. 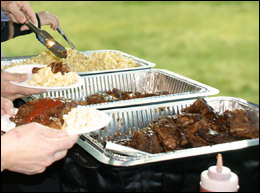 Your guests will enjoy amazing food with This Little Piggy Catering’s signature presentation. Make your casual wedding one your guests will be talking about for years to come. 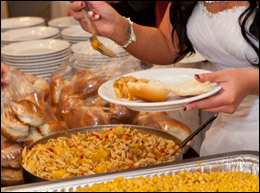 Our elegant wedding packages feature the same great food presented and displayed with that extra elegance. Choose from an elegant sit down meal to a stunning buffet with all the details accounted for. Make your special day truly spectacular. Vintage Weddings are in. Our Vintage wedding package will perfectly complement and add a vintage touch to your wedding. 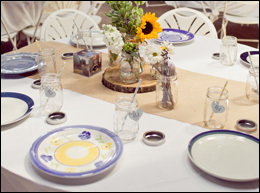 You guests will love the vintage plate selection and marvel at the vintage bowls and serving ware.